What Are the Common Problems Faced by Students while Writing Assignments? Assignment Help Blog What Are the Common Problems Faced by Students while Writing Assignments? Different types of academic papers are assigned to the college students, at various academic levels. These can be assignments, review, report writing, research papers, essays, and case studies. An assignment is considered as one of the great ways of learning as it helps scholars to acquire vast knowledge of the subject and explore their way of thinking. They also develop various skills, such as writing, research, editing, proofreading, analytical & critical thinking, and many others. But they often face several difficulties in completing their work efficiently due to poor writing skill, lack of practice, improper research, or insufficient content. No matter how great your idea is, it will not be worthful if it’s not presented effectively. Assignment should be persuasive writing, and this is the aspect which is mostly lacked by the students. Due to lack of language proficiency students do grammatical errors, typos, and misplaced punctuation. Most of the times they use complicated words to mark an impression without understanding the context demand which often leads to the formation of absurd sentence structure. Tip - Your answers must be clear and easy to understand. One can make an impression by using simple words if they are used correctly. It happens many times that students complain that they don’t have enough content to write in the assignments. Due to the improper way of research, they lack insufficient knowledge about the subject which result in the shortage of words, ideas, facts, and figures. There can be a number of reasons which are responsible for this lacking such as, not attending the classes regularly, unclear doubts, incomplete notes, poor understanding of topic, and not insufficient study material. Tip - A simple way to overcome this severe problem is by making a proper schedule for your self-study, and clear your doubts as soon as possible. Some students often doubt their capabilities whether they can write their whole assignment efficiently on their own or not. And, in this self-doubt, they never try to start writing and hold themselves back from performing. They delay their work every day with a supposition that they are not well prepared to write their document up to the mark. Instead of doubting their skills such students must work to enhance their capabilities and overcome their problems. Tip - It’s not tough to correct your mistakes, learn from them, and never try to repeat them. So, take your time and sort out the problems before start writing. It has been found that many students leave their tasks for the last minutes. They convince themselves that they have sufficient notes and will go through the work at the end of the day or week. But in reality, the notes remain untouched till the final moment, and because of this they get panic and try to escape that situation. This inappropriate time management make challenging to start a new task. Tip - To overcome such issue, start doing your work early. You should create a suitable time-table or follow a proper routine. 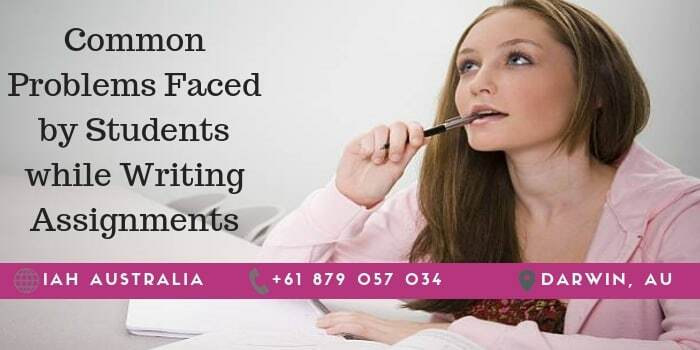 Assignment writing is no less than an art as You are required to keep a few important aspects in mind. Students might face several issues while doing their assignments. But it’s not difficult to overcome such problems if they try to identify their primary cause. Once they have the knowledge, confidence, and relevant data, nothing can stop them from performing well. Our expert writers of Instant Assignment Help understand these concerns, and that’s the motive of writing this blog. They have discussed these problems and given tips regarding that which will be surely beneficial for a student.